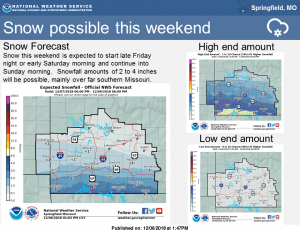 Snow is expected to impact at least parts of the Ozarks this weekend. The National Weather Service has issued a winter storm watch for areas south of I-44 from late Friday night into Sunday morning. A light wintry mix of freezing rain, sleet and snow is expected to change over to all snow Saturday and continue into Saturday night. New update indicate that between two to for inches of snow are possible, with some higher amounts near the Arkansas border. Snow totals may drop off dramatically closer to Springfield, where there could be one inch or less of accumulation. Forecasters caution until the system makes landfall in California later Thursday, they won’t be able to get a good idea on specific snow amounts and locations. 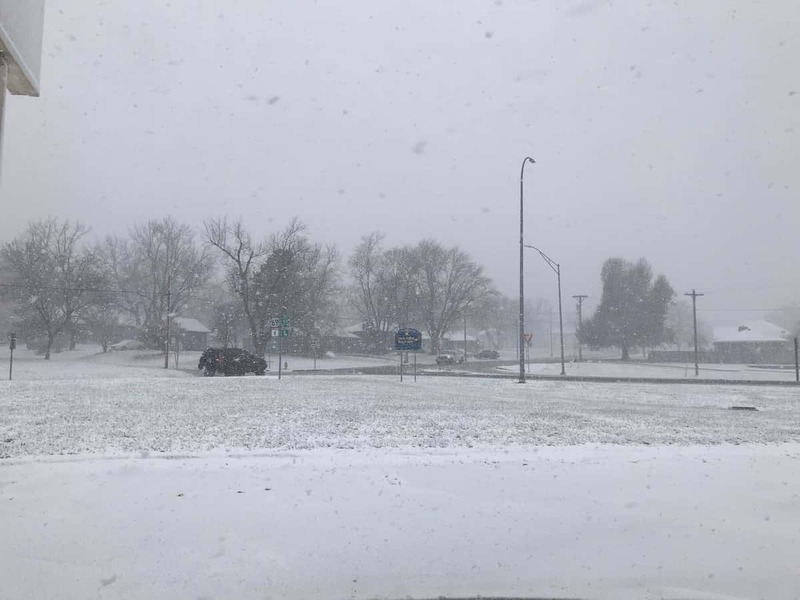 Stay up to date with all the latest winter weather watches and warnings and track interactive radar at KTTS.com.